The old saying is, what happens in Vegas stays in Vegas. There is a reason that saying exists, and should be followed….most of the time anyway. Sometimes you come across something so incredible it cannot, and should not be kept to one’s self. For instance, what if I told you that there is one show….one concert where you could hear classic songs from the likes of Led Zeppelin, The Doors, The Stones, Aerosmith, AC/DC, Bon Jovi and so many more? 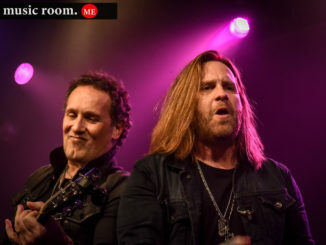 And what if I told you those songs were performed by rock n’ roll heroes from bands like Whitesnake, Last in Line, Dead Daisies, Heart, and more? Well, I am telling you such a show exists, and it’s called “Raiding the Rock Vault” and it’s only in Las Vegas. Of course, these songs are only as good as the band that is playing them. It’s safe to say we have all seen local cover bands attempt to cover these rock n’ roll gems, but few ever get close to getting the magic out of the songs. 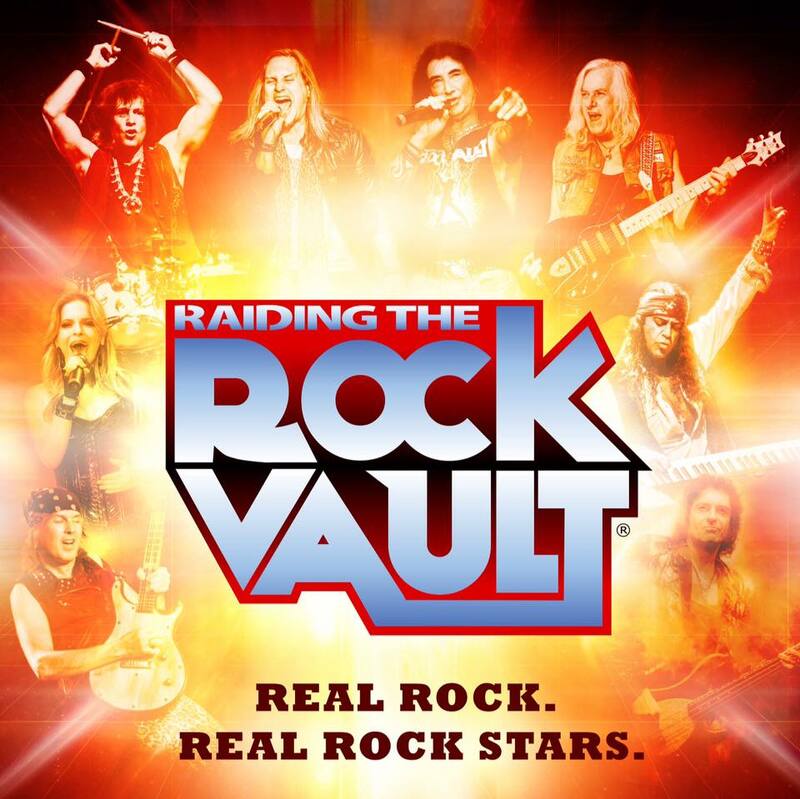 The band that makes up Raiding the Rock Vault is a rotating line up of members of some of rock’s most beloved bands. On this night, the band consisted of Doug Aldridge on guitar. 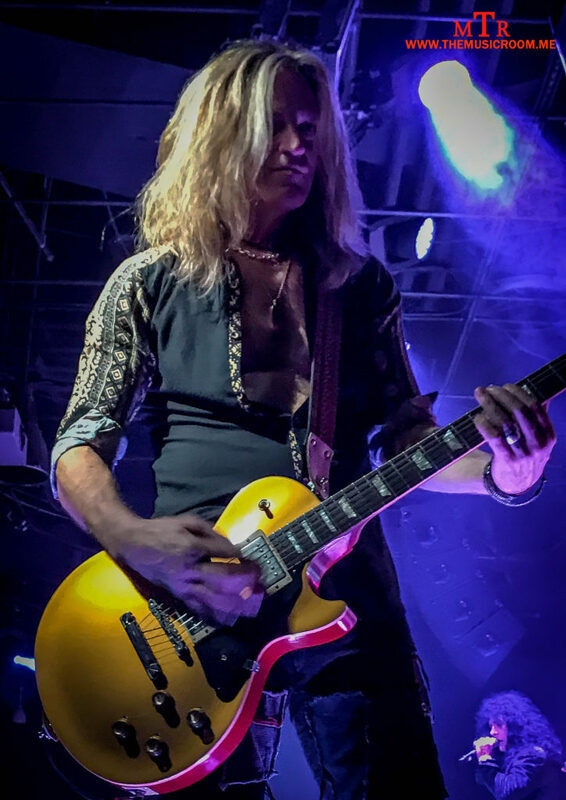 Doug has played with the likes of Dio and Whitesnake, and is now a member of The Dead Daisies, who recently released a killer album called “Make Some Noise” and toured with Kiss last summer. Joining Doug on guitars is Rock n’ Roll Hall of Fame member, Howard Leese. Howard spent over twenty years with the Wilson sisters in the band Heart. Leese also played with Paul Rodgers and Bad Company. 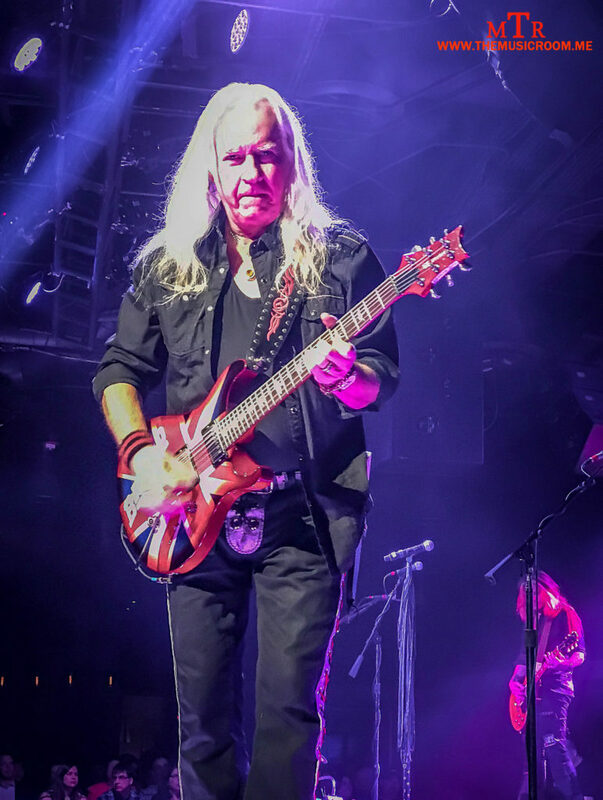 Seeing a legend like Howard Leese play alone made the night a memorable one. Have you heard of a band called Last in Line? Well, the bands lead singer, Andrew Freeman, and bassist Phil Soussan were a part of the band as well. 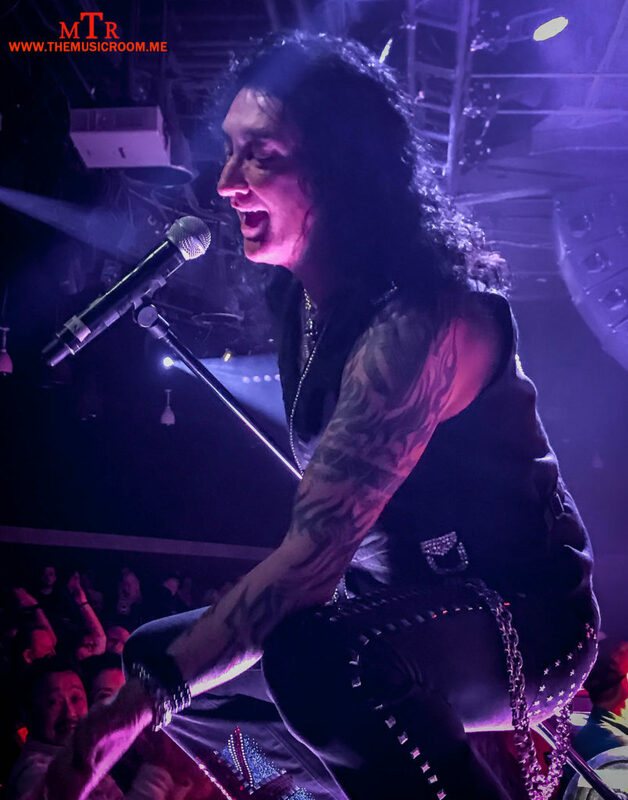 Freeman delivered the performance of the night with his vocal delivery on “Jump.” Other members of the Rock Vault band were Robin McAuley (Survivor/McAuley Schnenker Group), Paul Shortino (Quiet Riot/Rough Cutts), and Michael Ross (Lita Ford/Angel/Hardline.) See all the Rock Vault band members here. 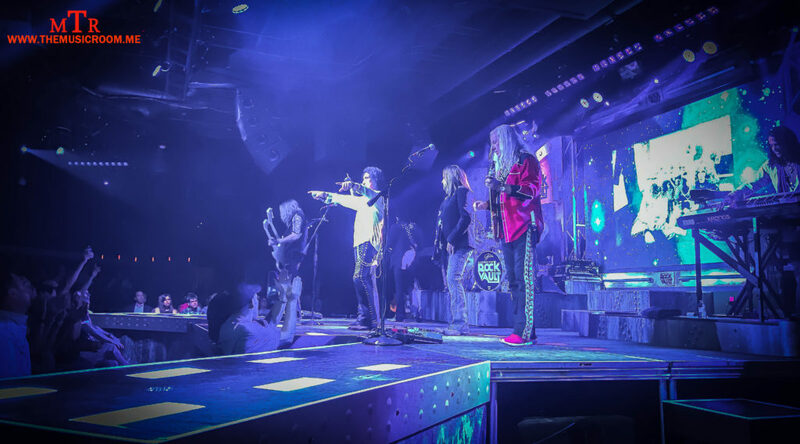 For years “Raiding the Rock Vault” made its home at the Tropicana on the Vegas Strip. Last month the show packed up its road cases and headed off the strip to its new home at The Hard Rock Hotel. While I have never seen the show performed at the Tropicana, I can’t imagine a better venue for this show to be performed. As you walk through the doors of the Hard Rock, you walk under the lyrics penned by the immortal Stevie Ray Vaughan, “When This House is Rocking Don’t Bother Knocking, Come On In.” This is no coincidence, because the place is always rocking. The walls are covered with memorabilia from rock n’ roll greats, and the rock n’ roll attitude is present from patrons and staff. You just feel like you are at a rock show when you walk in the doors. Then when you attend the show, the venue is intimate and puts you up close and personal with the amazing musicians. You might catch a guitar pick, or get a fist bump from one of your rock n’ roll heroes. If that is not enough, make a purchase at the merch table and you get the backstage pass treatment as you get to meet the band.